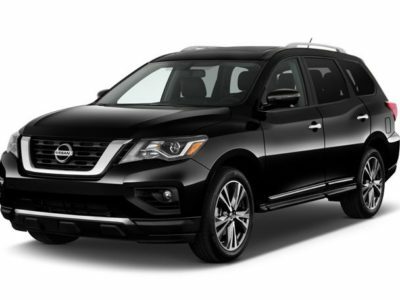 The famous SUV is going to come without bigger changes for the next year, as 2019 Nissan Armada. 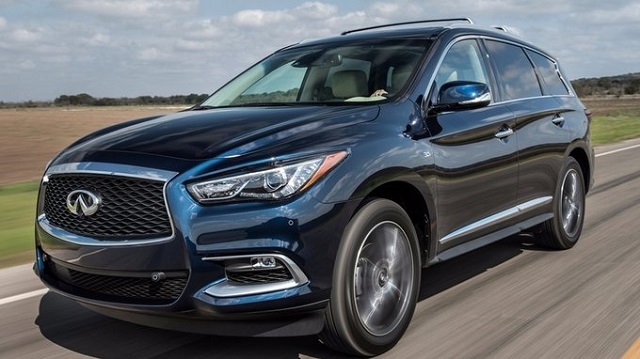 This full-size SUV has been Nissan’s flagship model for years. The original version came in 2003. 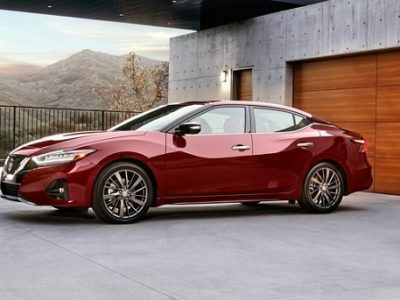 For all those years, we have seen two generations, which wouldn’t sound strange if we don’t say that a redesigned model came only two years ago. The original version was in production for 13 years. Of course, there were some updates but such a long production cycle is unusual these days. So, we are pretty sure that the new model won’t have such a long life. 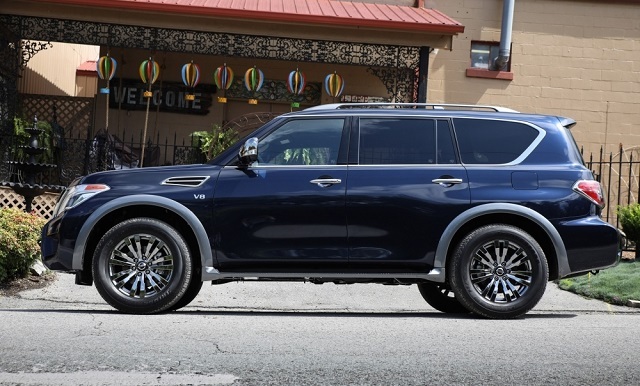 The 2019 Armada will come without bigger changes, which seems natural if we consider that it will represent the third-year model. It will continue in the same way, featuring the same design, as well as same large V8 engine. On the other side, we could see some tweaks in terms of standard equipment. 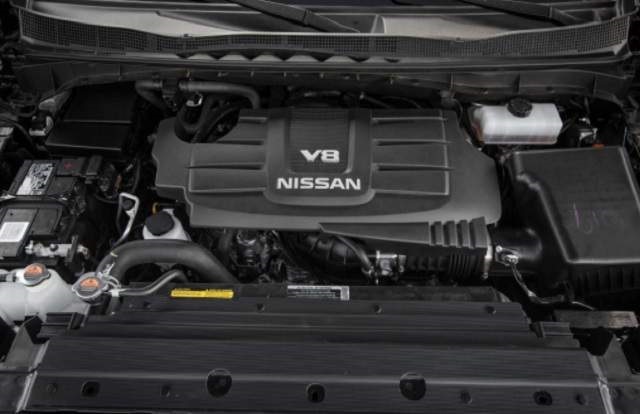 The 2019 Nissan Armada will continue in the same way. Speaking the base design characteristics, we are about to see the same styling, as well as the same mechanics. This model came two years ago so there is no need for some bigger updates at the moment. 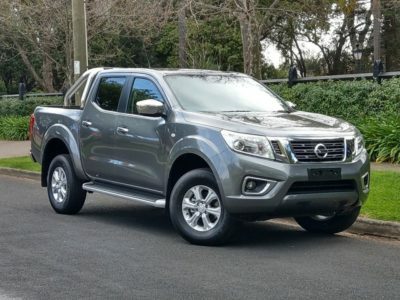 This large SUV will continue to ride on the same Titan-borrower architecture, which provides excellent capabilities in all aspects. This SUV features hard construction which offers amazing off-road capabilities, as well as great towing capacity. In terms of styling, things will remain pretty much the same. This SUV has much in common with the legendary Patrol, not just in terms of mechanics but in styling as well. Still, we could see some minor updates for the next year, in terms of new exterior colors or something like that. 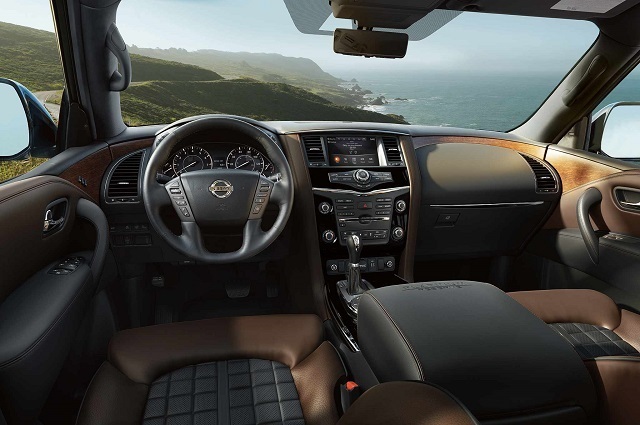 On the inside, 2019 Nissan Armada will also remain pretty unchanged. Count on the same cabin design, which offers not just plenty of space, but high-quality materials as well. For the next year, we could see some new color schemes, but nothing more than that. When it comes to equipment, there are three trims in the offer. The base SV comes with things like 18-inch alloy wheels, automatic LED headlights, roof rails, side steps, keyless ignition and entry, a rearview camera, 8-inch touchscreen, navigation, 13-speaker sound system etc. A mid-range SL comes with bigger 20-inch wheels and adds standard features like power-adjustable steering wheel, remote engine start, 360-degree camera etc. 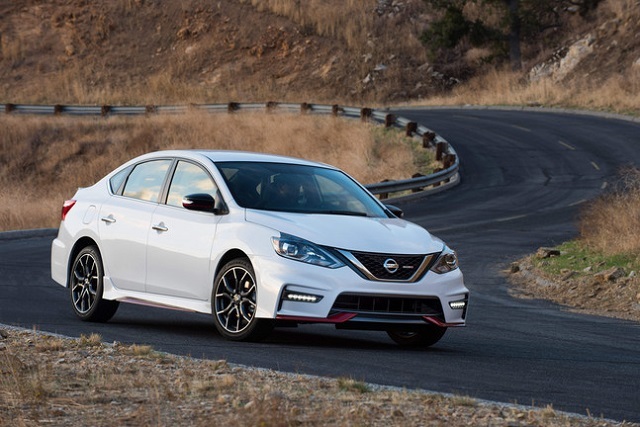 Finally, there is a top-range platinum trim, which includes all above and add numerous other things, like heated and ventilated front seats, heated second-row seats, a heated steering wheel, a rear-seat entertainment system and many other things. When it comes to powertrain, we definitely won’t see changes. This huge SUV relies on a huge engine. It is a famous 5.6-liter V8 unit, which delivers 390 horsepower and 395 pound-feet of torque. Such a huge amount of power is sent to wheels through a 7-speed automatic transmission. Count on amazing performances. This SUV can tow thousands of pounds, but can also accelerate like some sports car. It needs less than 6 seconds to reach 60, while a top speed goes over 130 mph. Fuel economy is the bad thing about this engine. Considering its size, it’s not wondering that you can make only 13 miles per gallon in the city and 19 on a highway. 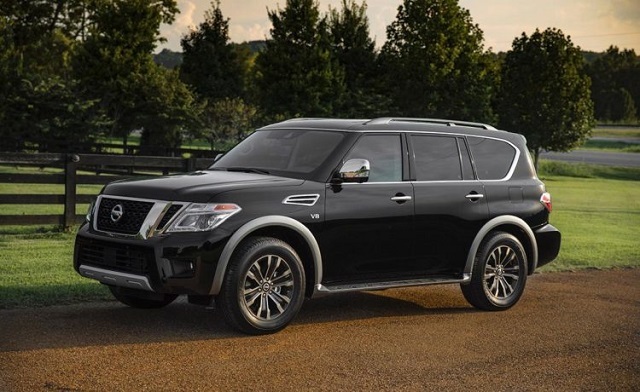 The 2019 Nissan Armada will come late in the year. Expect no changes in price, so base models should go around 47.500 dollars. Competition remains the same. There are models like Chevy Suburban and Tahoe, Ford Expedition, GMC Yukon, Toyota Sequoia etc.